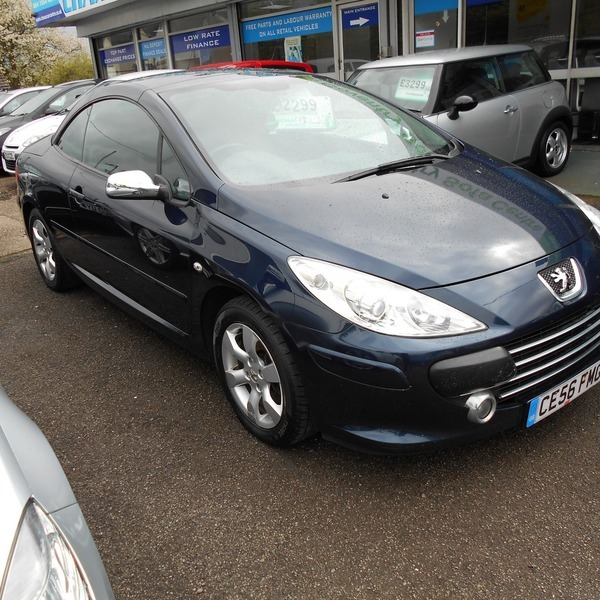 Here we have a fine example of a well looked after Peugeot 307 S Coupe/Cabriolet that will come with 12Mths MOT. Front Fog Lights , 16" Multi Spoke Alloy Wheels ,Climate Control Air Conditioning , 5 Speed Gearbox , Front and Rear Electric Windows, Full Central Locking with Immobliser , Driver and Passenger Front Airbags , Single disc CD Player, Electric Mirrors . She also Comes with Service History , Timing Belt Chain Change and all Previous MOT's.